In the paper is proposed a method for evaluation of the student’s knowledge obtained in the university e-learning courses. 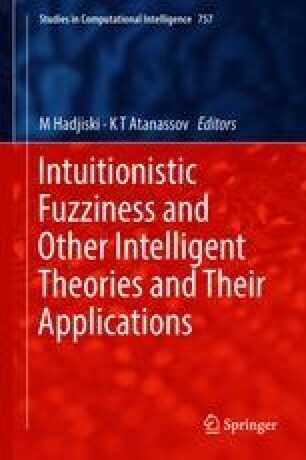 For the assessment of the student’s solution of the respective assessment units the theory of intuitionistic fuzzy sets is used. The obtained intuitionistic fuzzy estimations reflect the degree of each student’s good performances, or poor performances, for each assessment unit. We also consider a degree of uncertainty that represents such cases where the student is currently unable to solve the problem. The method presented here provides the possibility for the algorithmization of the process of forming the student’s evaluations.